Luis Enrique Martínez continues to rack up finals as Barça coach as this season’s Copa del Rey will see him contest his eighth in less than three seasons. Of his previous seven finals, he has lost just once, against Athletic Club in the Spanish Super Cup in 2015. To those six victories in Cup finals we have to add two league titles, giving him a total of eight trophies since arriving as coach in the summer of 2014. At the moment, the Barça boss has an unblemished record in the Copa del Rey, having won the competition in both of his previous seasons in charge. In 2015 Athletic Club were beaten 3-1 in the final at Camp Nou and the following season Sevilla were defeated 2-0 in a game that went to extra time. Who could forget the triumph in the Champions League final back in 2015, Luis Enrique’s first campaign in charge. Goals from Rakitic, Luis Suárez and Neymar gave earned a 3-1 win over Juventus in Berlin. That victory was followed just a few months later by a pulsating 5-4 win over Sevilla in the European Super Cup. Two goals from Luis Suárez and one from Leo Messi also helped the blaugranes to victory in the final of the Club World Cup against River Plate in Japan at the end of 2015. 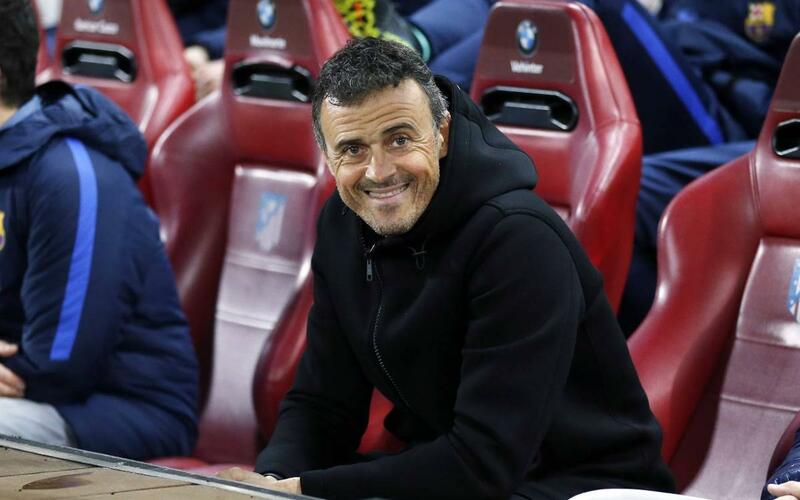 Luis Enrique will be looking to extend his record of six wins in seven finals come the end of May when his team face Alavés in the Copa del Rey final, a great opportunity to add more silverware to his already impressive list of honours as Barça coach.